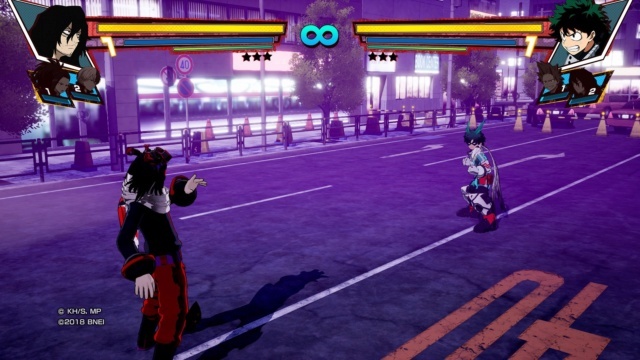 Developed by Byking Inc. and published by Bandai Namco, My Hero Academia now has its own fighting game: My Hero One’s Justice. While this fresh anime has wooed fans, is the game up to par? In the Story Mode there are three chapters to the campaign. The first chapter of the three-part campaign is the Hero chapter. This section of the campaign takes you through the events from when the young heroes begin their internships to the fight between All Might and All for One. Which in reference to the anime is around the middle of season two to the middle of season three. Finishing the Hero chapter feels very rewarding and unlocks the villain chapter. Unfortunately, the villain chapter falls a bit flat. It is practically the same thing as the hero chapter, so it just feels like a repeat with different characters. In addition to the lackluster feeling of repeating the main events they also seemed to throw in some unnecessary side missions which have nothing to do with the plot. After finishing the villain chapter, the last chapter of the campaign unlocks. This chapter covers the U.A Sports Festival, which happened before the events of both the previous chapters. It is nice that it was included, but it feels very out of place and seems like a last-minute decision. 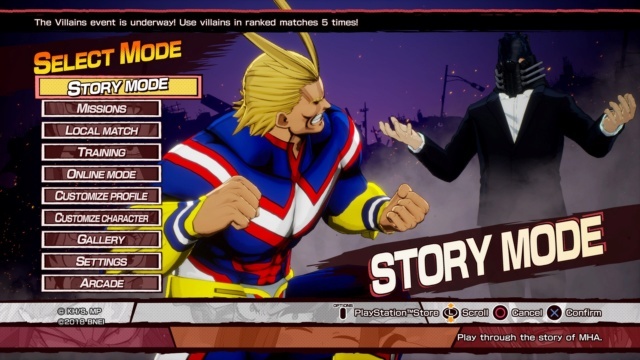 Overall the Story mode to My Hero One’s Justice started off strong but fell short towards the end. 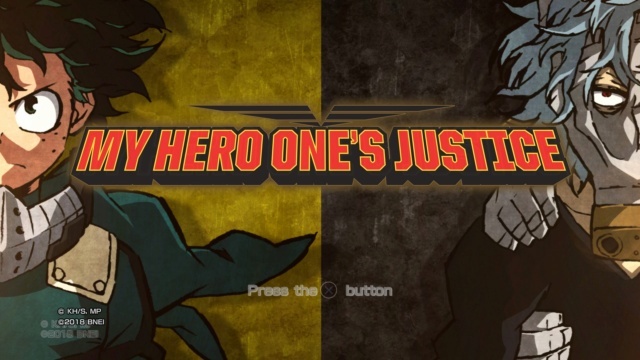 Mission Mode in My Hero One’s Justice is a great place to fine tune fighting skills and earn more accessories for customization. The missions start off easy, but progressively gets harder towards the later missions. This mode is good for hone skills since it introduces fighting under extreme circumstances sometimes. Mission mode adds specific stipulations under which matches can be won. Some examples of these stipulations would be: win by ring-out (out of bounds), survive until time expires while health slowly degenerates, beat enemies while their health slowly regenerates, etc. These missions make mission mode challenging and rewarding upon completion. In game there are two modes for customization: Customize Profile and Customize Character. In Customize Profile one can customize a card that will display player information while playing in online mode. This card customization consists of a background, a picture, a title, and a comment. All the customizations for this mode are available by playing, beating, or leveling specific characters. In Customize Character one can customize the outfits, introduction scenes, and voice sets. 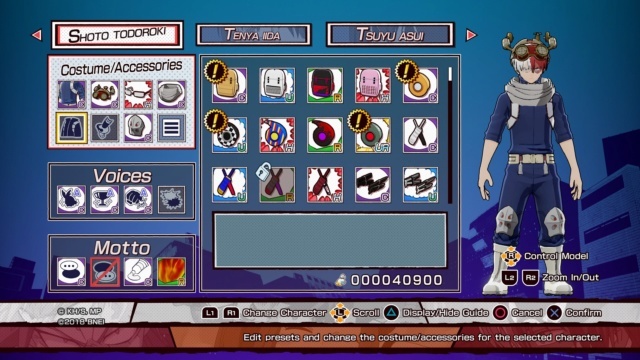 Most of the character’s outfits and accessories can be obtained by fulfilling conditions in story and mission modes, but a few of them must be purchased using in game currency earned by completing matches. The customizations to the introductions include a special background, a customizable “mottos” and text color. Most of the mottos can be unlocked by fulfilling conditions or can simply be unlocked through purchase. The backgrounds and text colors are exclusively unlockable through purchase. There is also the option to change the sets of dialogue the characters use in matches. There are voices for match introductions, attack voices, victory voices, and extended voice packs. All the voice packs besides the default ones must be purchased. There is the ability to create three costume presets in Customize Character mode which allows for the player to save three different outfit, accessory, voice sets, and introduction customizations to be used in Mission, Local, and Online modes. All in all, the game has a very expansive customization system that lets the players express themselves. Controls: The controls for this game are very easy to learn on PlayStation 4 as they are relatively similar to other fighting games. Visuals: The visuals for this game are standard for Bandai brand fighting games. They are not anything particularly new or more detailed, but still satisfying to see. Audio: The audio for the game is satisfying. The music in the menus is very peppy but not in your face. In the matches the music is more intense and helps set the mood while fighting. In the end the music fits the game very well. The dialogue for the game is in Japanese and is very nice to listen to since it is the same voice actors from the anime, but the only problem is that there are no subtitles. Due to this someone who does not know Japanese will likely be unable to know what the characters are saying. Completion: To 100% this game with fulfilling all the special conditions in story and mission modes could take an average of 50 hours give or take. This does not include all the customization unlocks and trophies (for the PlayStation 4 version) since there are so many customizations unlocks which also feed into the trophies. A word on Multiplayer: In this game the Online Mode works completely fine most of the time. There are some instances where the matchmaking will time-out and force the player to re-que, but there is also another error that is a bit more frustrating. Less common than the previous error is when loading into a pre-match screen the screen will just stay a dark red with nothing on it to indicate it is loading. The screen can stay that way for an indefinite amount of time. The easiest way to fix this is to restart the game. Waiting the screen out is doable sometimes, but likely not worth the wait. 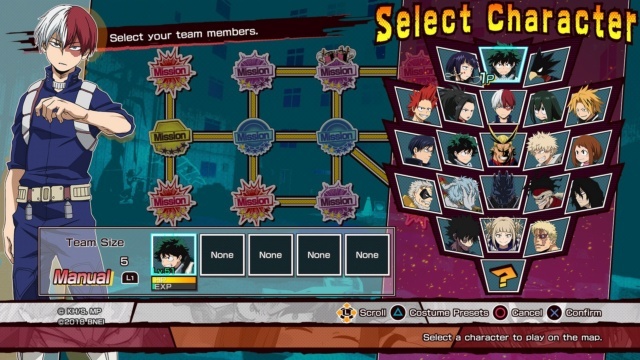 DLC: There are DLCs for My Hero One’s Justice to unlock extra characters and missions for extra customizations. They are not necessary to enjoy the game and thus are completely optional. Bottom-Line: My Hero One’s Justice is a decent anime fighting game. For fans the game is enjoyable despite the shortcomings of the story. However, for people who have not watched the anime or read the manga it would likely be lackluster. We give the game a decent level of recommendation. @SalsumHawkeye Wow! You're an amazing reviewer! I love My Hero Academia, but the lack of subtitles is a problem. I do know a decent amount of written Japanese a.k.a. Kanji, but my understanding of their spoken language is broken at best. Are the cut-scenes subtitled at least or is it missing from both story scenes and during fights? In any case congratulations on not only making the cut, but writing one of the best reviews on this website! @SalsumHawkeye @Reanfan I couldn't agree more! Your review is wonderfully written! Welcome to the team! It does have English subtitles in the cutscenes so you can understand what is going on @Reanfan. Thank you all for the comments and I am grateful for the opportunity to continuing to write with you! @SalsumHawkeye Thanks for the reply! I'll probably purchase the game at some point then! What a wonderful review @SalsumHawkeye! This sounds smashing! Excellent review @SalsumHawkeye! What a descriptive and well written review! A job well-done excelsior! @SalsumHawkeye Who're your favorite fighters to play as in the game? Mmm, I like to play as Aizawa, Todoroki, and Yaomomo. I usually put them all in the team with Aizawa being the playable one @Reanfan . Awesome review! Your so amazing! @SalsumHawkeye Wow, this review is amazingly well-written. Welcome to the team!